It’s back for season 2019! The tipping competition with a difference. No need to pick your tips week by week - you pick them all before the season starts! Now in its 13th year, From Long Range (FLR) is a competition available exclusively to all Blitzers. Originally conceived and run by Mero, FLR provides you with something to do in the off season, as well as an interest during the season no matter how the Bombers are going. Last year’s prize was a never been worn 2013 Benzina special jumper with the flight club donor’s names sublimated on it, including BomberBlitz.com! @Klawdy is probably wearing it right now. This year’s prize has once again come from the BomberMcVeigh memorabilia dungeon and I think it will go down well. 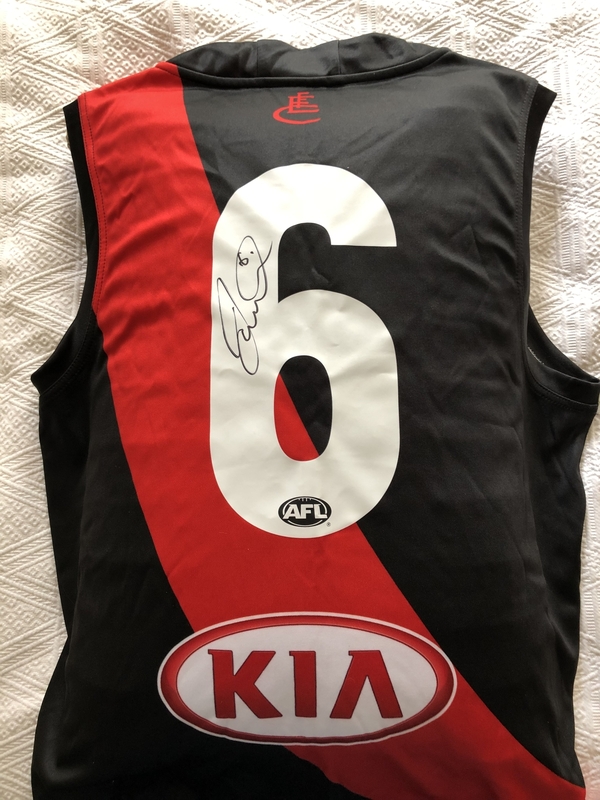 A signed 2018 Joe Daniher jumper! It’s brand new with tags and medium in size. Who wouldn’t want to win that? You must be a BomberBlitz member to play. Rename the file with your BomberBlitz name. Select the predicted winner (or draw) for each of the 198 matches of the season. Note: You may have to “Enable Editing” to be able to make your picks. Email your entry to BomberMcVeigh @ Gmail.com (without the spaces). Give it about 24 hours to be processed as I’m not checking that inbox too often. You must do all of this BEFORE Thursday 21st March 2019, 19:20 (start of the season) Any entries received after this time will be ignored. Any games that you don’t select a winner for will be assumed to be the AWAY team. Only one entry per Blitzer, including those with multiple personas. In the event of a tie, all winners will be recognised in the honour roll however due to the uniqueness of the prize, there will be a countback for the prize winner with the tipper with the most "9"s, “8”'s etc. being the winner. Any complaining or correspondence will probably be ignored. Entries will be recorded in this opening post as they have been processed. Anybody who wants their “ladder” can request that in their entry email. Progressive results will be published after each round in this thread. That’s it. Any other rules I have forgotten will be made up as required. Go for it! Last year we had 63 entries - let’s hope we can do better this year! JLT & JLT reverse are the same except they are based in the “ladder” produced after the JLT series. I’ll be in again, i suggest you bold the actual link to download though. What’s with the medium sizes? I’ve had to fast since last season just for this moment. I’ll give it another go and I should improve on last years horrible score. This competition, along with Allblack’s previews, are the best features of the BBlitz off season. My gratitude to Bomber McVeigh for running this competition yet again. I am most definitely in. Partly l am in because l am not sure l can be bothered fronting up for an entire season of tipping, but l don’t care about that. 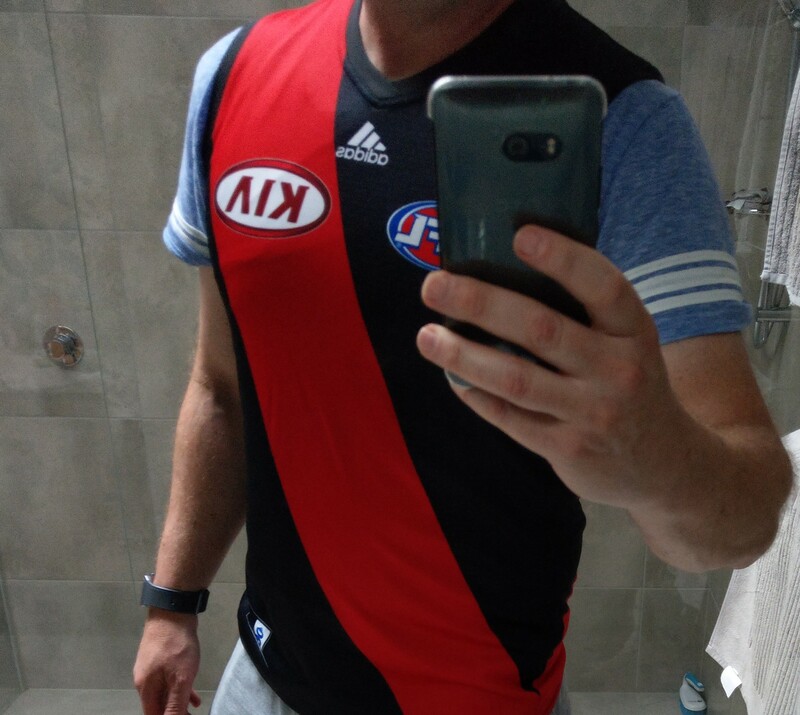 Go Bombers, woohoo!!! Another excellent prize BMc. Very generous of you. I’m in again. I love how I only have to remember to do my tips once. I take it you’ve forgotten 2nd September 2000? I will be joining this year. I’ll go round again. Got dicked in the final round 2 seasons ago and went back to mid table mediocrity last season. The UNDISPUTEED and UNDEFEATED champ will be back in for this year.